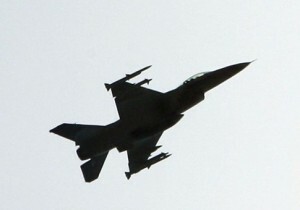 An F-16 Fighting Falcon jet crashed in northwestern Arizona on Thursday morning and the condition of the pilot was not immediately known. Fox News first reported the crash, citing a spokesman for the U.S. Air Force. The crash occurred at approximately 8:45 a.m. near Bagdad, which is located in Yavapai County, Arizona. The fighter jet belongs to the 56th Fighter Wing at Luke Air Force Base, according to officials at the base in Glendale. The crash occurred about 85 miles northwest of the base. A spokesman for the base said that the cause of the crash is unknown.